The problem: The keynote speaker was not able to manage/implement his own inbound marketing strategy due to a lack of time and expertise. The result: After just 3 months, the speaker’s website visitors, contacts, and RFPs saw tremendous growth. At Flight Media, we work with clients in a variety of industries. One niche area is helping speakers and authors grow their brand by increasing traffic, driving leads, and converting prospects. We have a client who is a best-selling author, executive coach and personal branding expert. He’s already “made it” by many standards, pulling in $10,000 to $20,000 for a single speaking gig. But even at this stage of his successful career, this client wasn’t holding back. He came to Flight Media for help to further engage his audiences and market his own personal brand. Selling more products through his website. At every speaking event, the keynote speaker was reaching thousands of people. These were potential prospects – comprised of people who made up his ideal audience – who were exposed to his brand every day. He knew their struggles. He knew how to help them. 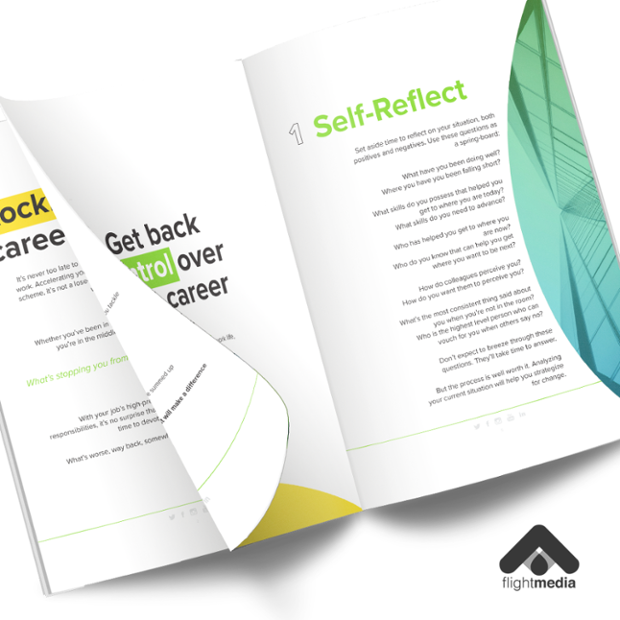 And he had products (ebooks and course) and services (one-on-one coaching and consulting) to offer that would help them drive their careers further. But here’s the problem: the speaker was a very busy business owner. He spoke (and traveled) around 250 days a year – often more – so it was a real challenge for him to find time to work ON his business and marketing. The ability to engage these audiences AFTER the speaking engagements ended was proving difficult. As a result, his online visibility, lead generation, and online RFPs were really low. (The RFPs he did get were solely based on word-of-mouth recommendations). The keynote speaker was doing the right things: He had a website. He managed a few social media accounts. He had an email list. But these components weren’t running in sync, his website was outdated, and still, he lacked the necessary time and expertise to build a powerful inbound marketing campaign on his own. The keynote speaker was doing the right things: He had a website, social media, and an email list. But his website was outdated, and he didn’t have the time or know-how to implement an inbound marketing campaign on his own. We worked closely with the keynote speaker to build an inbound marketing campaign from the ground up. We dove into his marketing challenges and built a system that would strategically increase his online presences, drive sales and generate leads. Designed and created content for social media and blogs. Established an organic and paid lead generation strategy. We wrote and published weekly blogs on our client's website, targeting strategic keywords, which increased his website’s rankings. We also broadcast this content on his social media channels. As the conversation got going, social media engagement increased. The keynote speaker's online position as an expert in the field of personal branding grew exponentially. Prospects began reaching out to him, learning more about his products and services and how he could help them develop their personal brand. Now, when our client was at speaking engagements, he could fully focus on delivering an attention-grabbing speech and offering action-oriented information. All the while, his inbound marketing campaign was gaining traction. Every time he was in front of an audience, our client could proudly point people to his website, where people could sign up for his email newsletter, grab some of his free ebooks, or buy his books – and it captured leads left and right. In just three months of the inbound marketing campaign starting, the keynote speaker's website visitors, email contacts, and RFPs went through the roof. 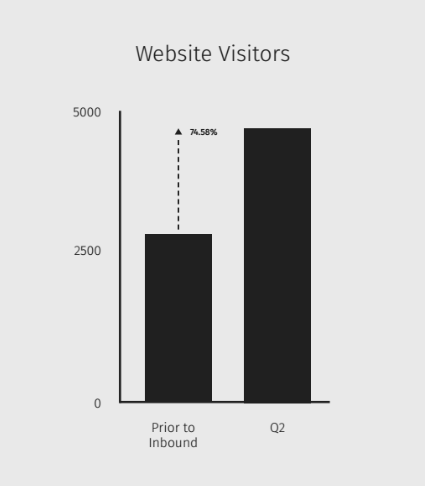 The website portion of the inbound marketing strategy got staggering results. Before inbound, and within just three months of the campaign’s start date, website visitors increased by 74.88 percent – that’s almost double the number of website visitors. Note: This number includes both audiences who hear him speak and organic traffic. 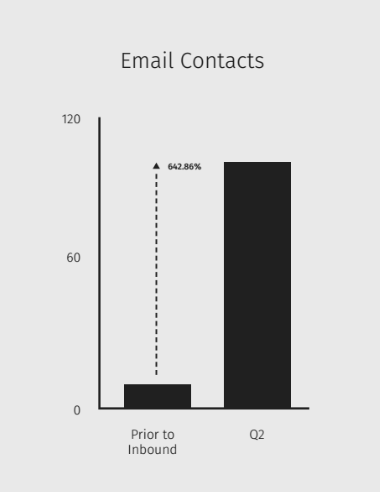 Email contacts also grew by leaps and bounds. Before inbound marketing, the keynote speaker had just 12 contacts. 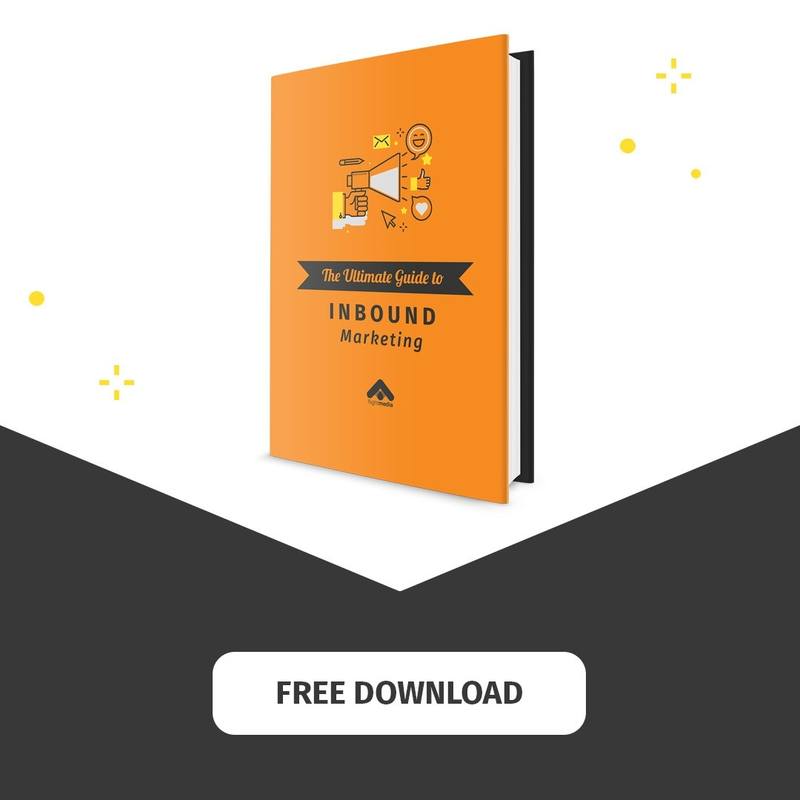 After inbound, that number increased to 104 qualified contacts (or leads who provided their name and email address in exchange for a free offer/ebook in the first quarter. 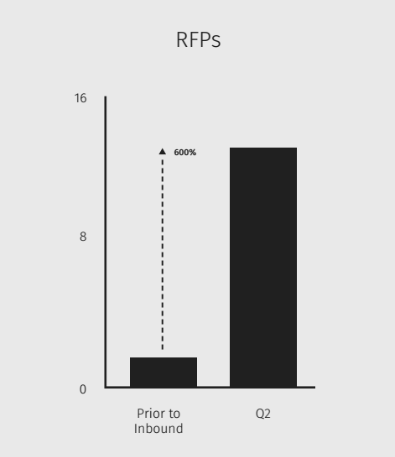 But the crux of it all comes down to RFPs. Our client's speaking business depends on people requesting that he speak at various events. Before inbound marketing, the website generated TWO requests for proposals a quarter. Two RFPs is very low, and the website obviously wasn’t getting much traction for the speaker in terms of booking speaking engagements. After implementing an inbound marketing plan, RFPs grew by 600 percent, with 14 RFPs coming in quarter 2 alone. Needless to say, our client was ecstatic about the campaign’s results. Consider these stats: If just one-quarter of the 14 RFPs acquired in quarter 2 hired the speaker, he’d make $35,000 (if each speaking gig was for $10,000) from his investment in inbound marketing – and that’s in just one quarter. If the speaking engagements were for the higher end of his speaking rate, he’d be positioned to gross $70,000 in one quarter. Let’s look at the potential results over one year: If he continued to get just 14 RPFs every quarter, that number could tally 56 RFPs in one year. If one-quarter of the requests hired him to speak, our client's gross could total $140,000 in his first year (based on a $10,000 fee). But that number grows to $280,000 (based on a $20,000 speaking fee). What kind of ROI are you getting from your inbound marketing efforts? Are you ready to wave the white flag and get expert help to drive your numbers – like this keynote speaker did?